Established under UNIDO in 1983, the ICGEB is a unique, autonomous, Intergovernmental Organisation, with biotech labs in Italy, India, and South Africa. Our Reports provide a complete overview of the Organisation, from its mission, history, science, programmes, activities and projects, governance, financial report, outreach and more. Over 600 scientists work in our labs, comprising 46 groups to advance research in the Life Sciences. The labs offer a scientific environment of top international standard, cutting-edge instrumentation, specialised facilities and advanced services. Podcasts of ICGEB scientific presentations by international scientific experts are freely available on YouTube, iTunes and from this Web site. The ICGEB champions scientific cooperation and advanced education (PhD and Postdoctoral fellowships, international scientific meetings, and competitive grants), Technology Transfer to industry, Biosafety, Projects, and Partnerships for the attainment of the sustainable development agenda. The ICGEB Board of Governors comprises a representative from each Member State and meets once a year. The Scientific Council includes Nobel laureates, who support scientific activities and makes recommendations to the Board. The Board Room at the 24th session, held in Trieste in May 2018. Contributing to a vibrant scientific community and disseminating knowledge and enthusiasm for science to the public are concepts integral to the mission of the ICGEB. The ICGEB Library houses ~1400 printed books and 150 journals on topics in the Life Sciences, also available online to authorisedusers. See these and other resources listed here. The ICGEB welcomes subscribers to its newsletter, sent out every two months featuring articles by the DG, science breakthroughs in India and South Africa, news from Affiliated Centres, ICGEB alumni and more. The main laboratories of the ICGEB are located in Trieste, Italy, New Delhi, India and Cape Town, South Africa, with a network of over 40 Affiliated Centres world-wide and Regional Research Centres being established in China, Panama and Sri Lanka. The ICGEB aims at strengthening the research capability of its Members through a comprehensive training programme and approach to promoting biotechnology internationally. The active participation of ICGEB Member States nationals in the ICGEB Meetings and Courses is therefore highly encouraged. For more information on the terms of participation and funding opportunities for this event please access the meeting website or contact the local organisers directly. 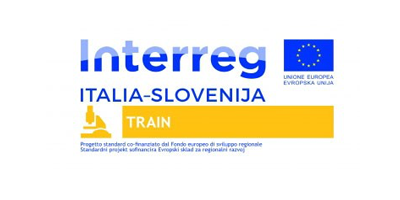 An ICGEB-TRAIN workshop, this page is currently being updated. Calls for applications are open. 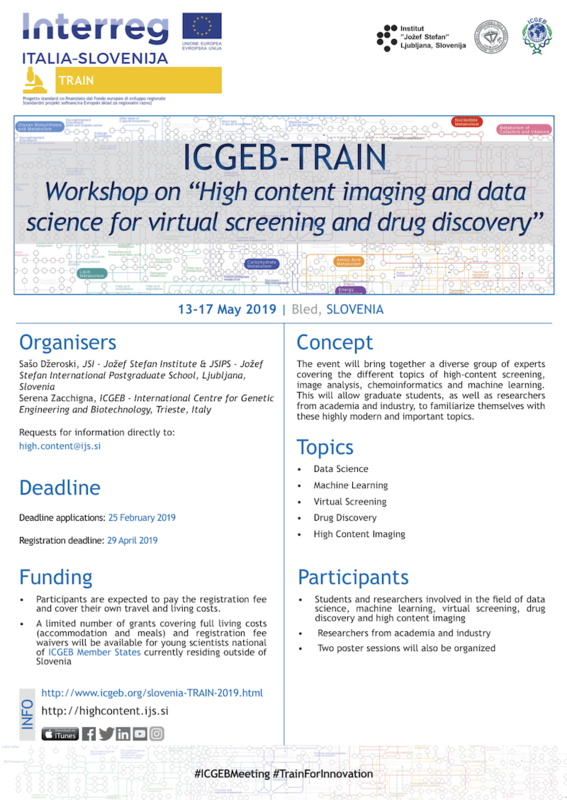 The event will bring together a diverse group of experts covering the different topics of high-content screening,image analysis, chemo informatics and machine learning.This will allow graduate students, as well as researchers from academia and industry, to familiarize themselves with these highly modern and important topics. Participants will need to bring their own laptops. Participants are expected to pay the registration fee and cover their own travel and living costs.